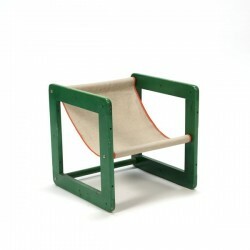 Vintage chair for children. 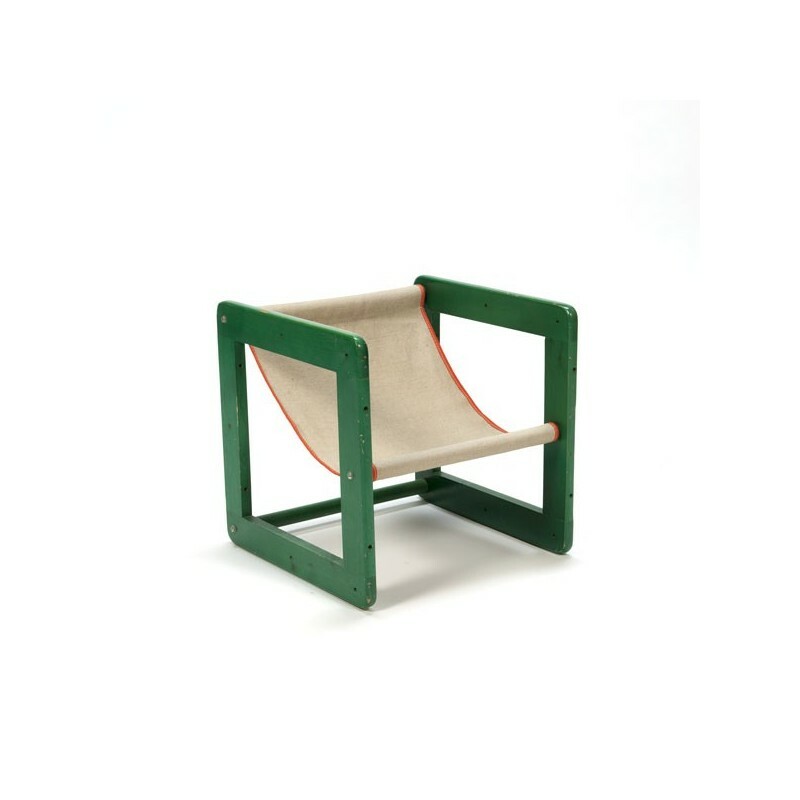 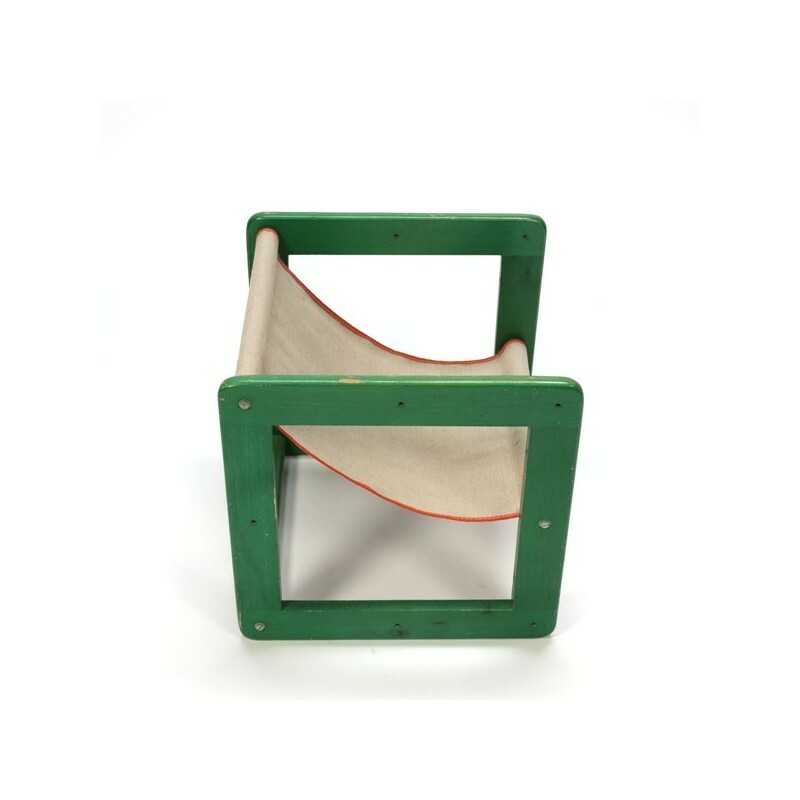 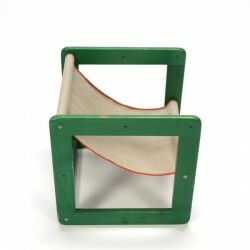 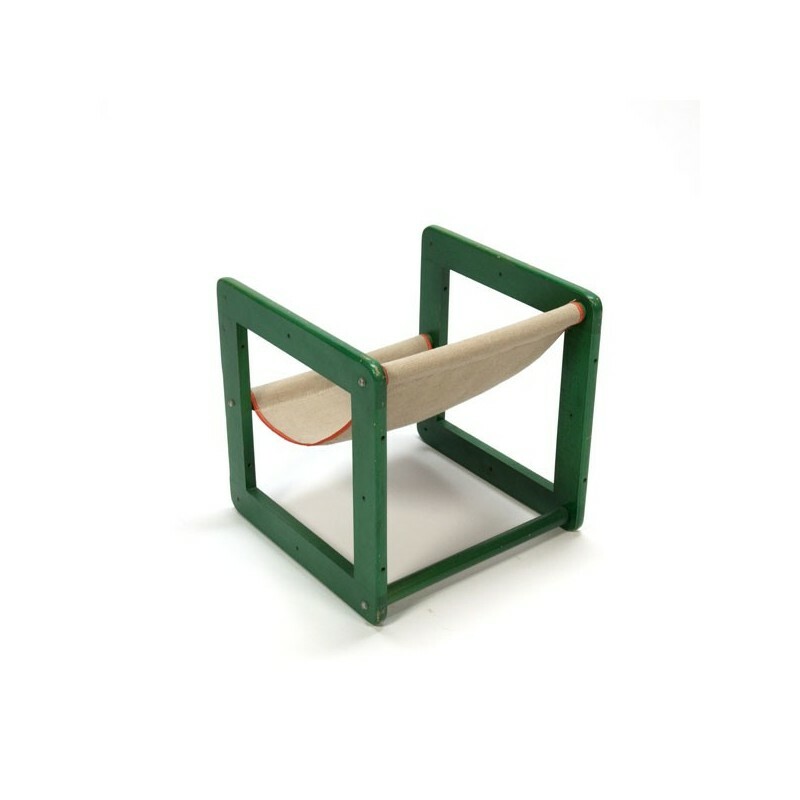 The chair has a green wooden frame and jute seat. The condition is fairly good considering the age, there are slight traces of use visible. 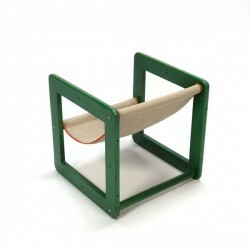 The size is 40 cm L/ 40 cm W/ 40 cm H.